Janine McIntosh manages the AMSI Schools division. Janine leads a professional development and schools visit program for teachers across the country. Through clusters of schools supported by industry and government partners, Janine’s aim is to encourage more Australians to enjoy and study mathematics. 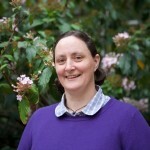 Janine is one of the authors of ICE-EM Mathematics, and has developed a suite of online and careers materials in her time at AMSI. She was one of the writers for the Australian Curriculum: Mathematics F–10. 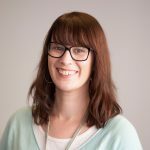 An experienced primary teacher, Janine has worked as a lecturer in mathematics education at the University of Melbourne and serves on the Maths Challenge and AMOC Committees of the Australian Mathematics Trust.